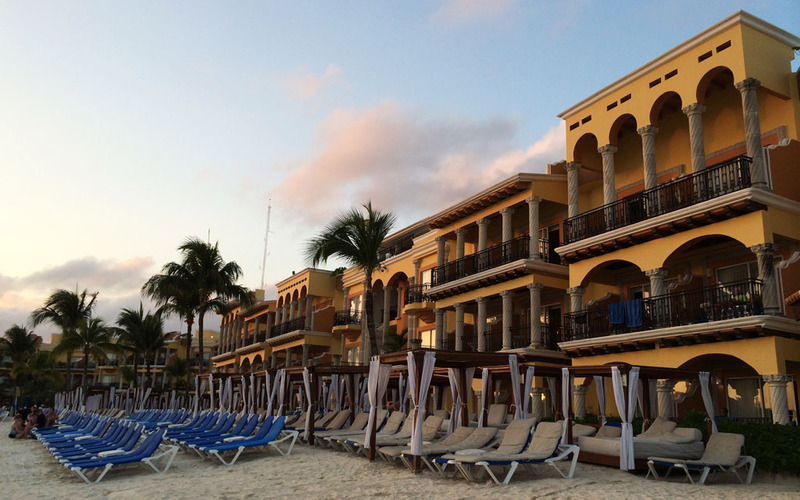 Quickly growing into one of the largest resort towns on the Mexican Caribbean, Playa del Carmen, or Playa as it is simply referred to by locals is a vibrant and bustling costal town. While Playa’s natural beauty can not be denied (its white sandy beaches and warm waters are precisely why people flock to its shores from December to April), neither can the towns ‘touristiness’. As soon as Nick and I stepped off the bus from Cancún, we were struck by how much Playa catered specifically towards the tourist crowd. 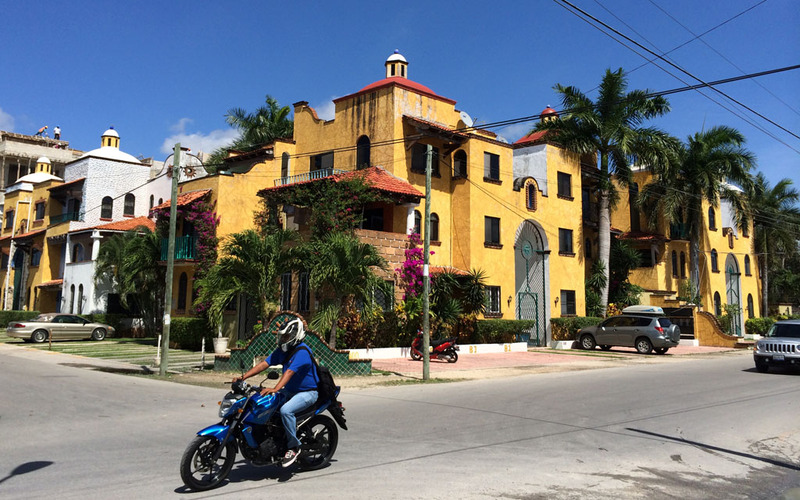 Not only are US dollars accepted almost everywhere but there is an endless line of beach front hotels and condominiums, as well as a highly commericalised main thoroughfare called Quinta Avenida, otherwise known as 5th Ave. The pedestrianised stretch feels more like a busy shopping mall than a street one block back from the beach. Chain stores like Zara and Forever 21 dominate the landscape as do a range of tacky souvenir shops, restaurants, bars, massage parlours and nail salons. There’s even a few Starbucks, Subways and Burger Kings dotted along the avenue too. 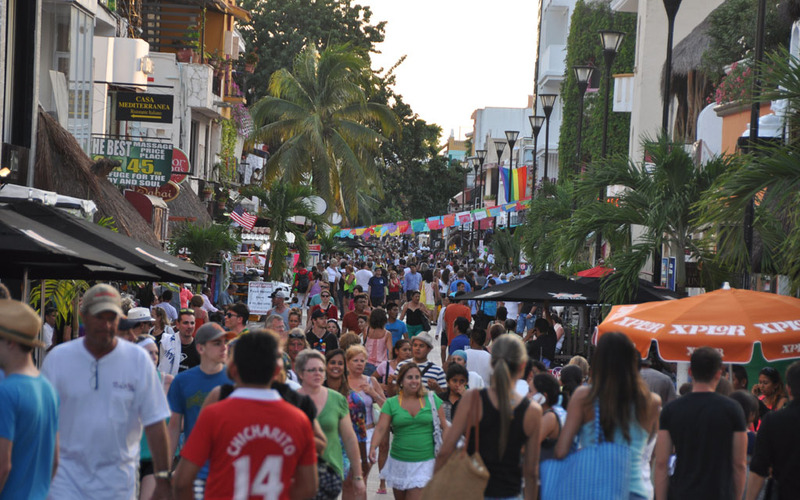 While a stroll along Quinta Avenida can be fun, it can also be a bit of drag as the walk almost guarantees a hundred conversations with tour operators, hair braiders, cigar sellers, all the while threading in between men holding leashed monkeys and helpless iguanas. 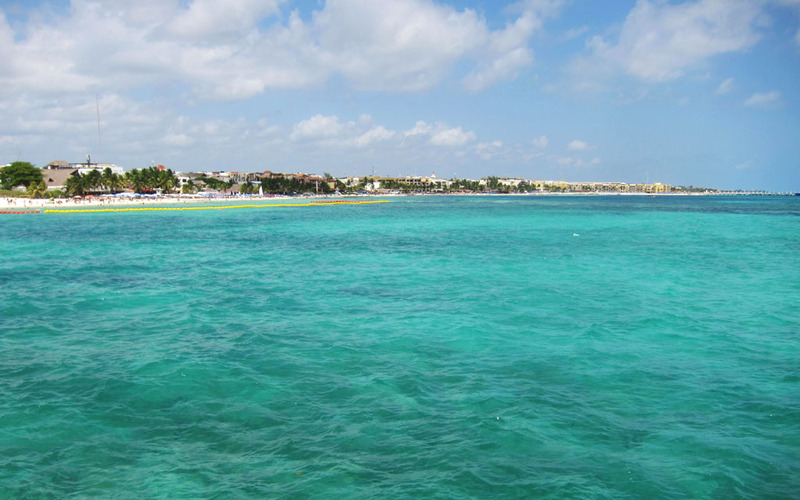 It’s hard to imagine that before the tourist boom Playa del Carmen was a small fishing town. Fortunately there are still traces of the towns former (and quieter) days. Only a street or two back from Quinta Avenida stand colourful, unassuming houses and small, local eateries. From sunrise to sunset the beach, which is the real draw for tourists, is packed with people. It was a little too crowded for my liking. Sun chairs, lounges and umbrellas sit uncomfortably close to one another and take up most of the room on the sand, right up to the waters edge. To be fair, the reason why space is tight on the sand is because the beach front is actually diminishing. Coastal erosion has resulted in a large percentage of the beach being washed away. 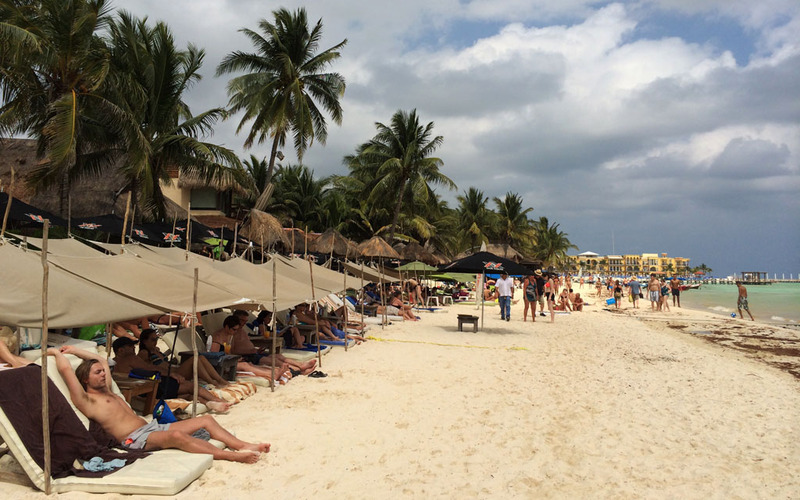 In an effort to repair and rebuild the beach, Playa like other coastal towns along the Yucatán Peninsula has in the past undergone beach restoration projects. This involves pumping huge amounts of sand from the ocean floor offshore and depositing it along the waterline. While there’s certainly a lack of authenticity that plagues Playa, Nick and I were glad we visited. Although we both agreed, that we needn’t have stayed for as long as we did (3 nights). We loved Casa Freud (the hotel we booked) and the incredibly cheerful staff, despite its close proximity to an insanely loud music venue next door. 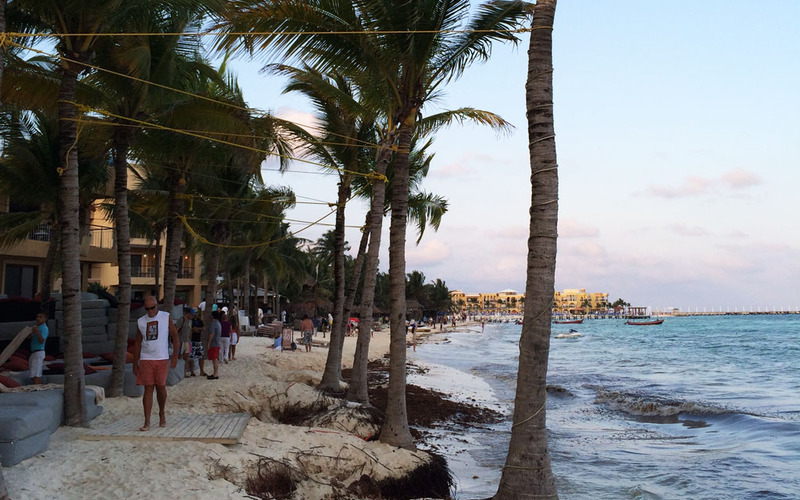 We also enjoyed walking along Playa’s beach in the cool of the evening, early morning swims and mouth watering Tacos al Pastor (spit-grilled pork tacos) from Don Sirloin. I haven’t painted the greatest picture of this town, which was was not my intention in the slightest. I can see Playa’s appeal of course, beaches, bars and booze, however it was a bit too much for me. 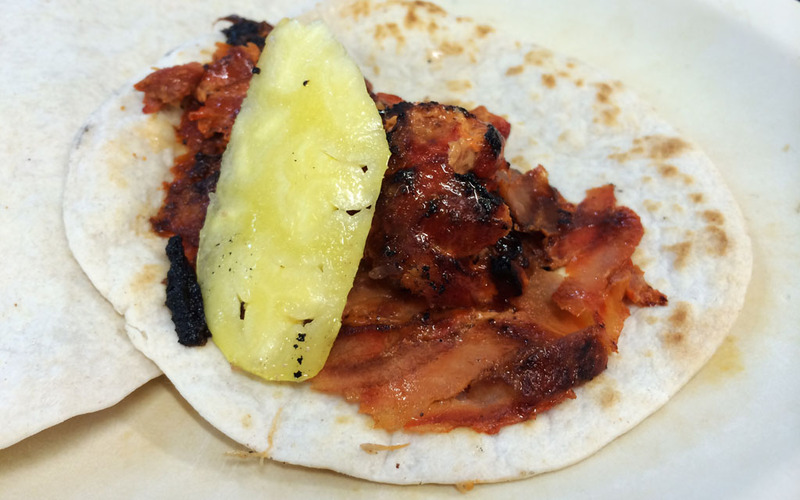 If you’re looking for an authentic Mexican experience look elsewhere. If you want to lounge on the beach all day, head out at night to a bar where the music thumps until the early hours of the morning, and enjoy the perks of an all inclusive holiday package, then this town is for you! Cheap, fast and delicious tacos. Try the marinated pork and sirloin beef, which are sliced right off the spit.